The simple idea of dark meaning is a powerful tool with which to extract large quantities of actual dark meaning from the universe. It functions like a self-fulfilling prophecy or a self-creating concept that extends into infinity. The idea brings the reality into being. This helps to illustrate the basic principle of the fractal technique, which allows us to apply absolutely anything to itself in order to bring out its hidden essence. 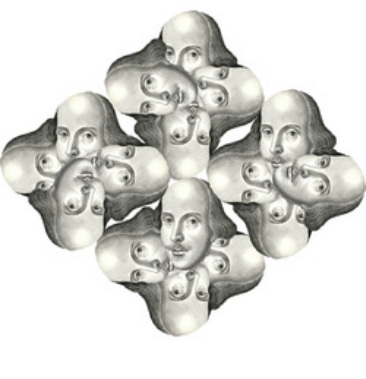 For example, one DMRI researcher was tasked with applying a New Historicist idea (that Shakespeare's work is inseparable from the context in which it was written) to itself in such a way as to create a fractal pattern based on the idea of inseparability from history being inseparable from the idea of inseparability (the “positive” position), while, at the exact same time, a second researcher applied the same New Historicist idea to itself to create a fractal pattern based on the idea of inseparability from history being inseparable from the context in which Stephen Orgel came up with it (the “negative” position). The most interesting result of the experiment was that each researcher ended up observing the other’s initial idea in their own pattern, showing that separate ideas about inseparability are, in the realm of dark meaning, inseparable. The researchers also ended up developing a very close friendship as a result of performing the experiments, and are now themselves inseparable. The fractal technique divides a thing in itself in order to unite it with itself and create a hitherto unknown wholeness. When the DMRI employs the technique, a subject is “divided for love's sake", so the whole process ends up being like Hegelian synthesis, which gives us a brand new thesis on the subject of dark meaning. For more information on this, please see Paper No. 2. When it was created in 1599, the Globe Theatre used the motto "totus mundus agit histrionem," which was derived from a 12th-century treatise on virtual reality.